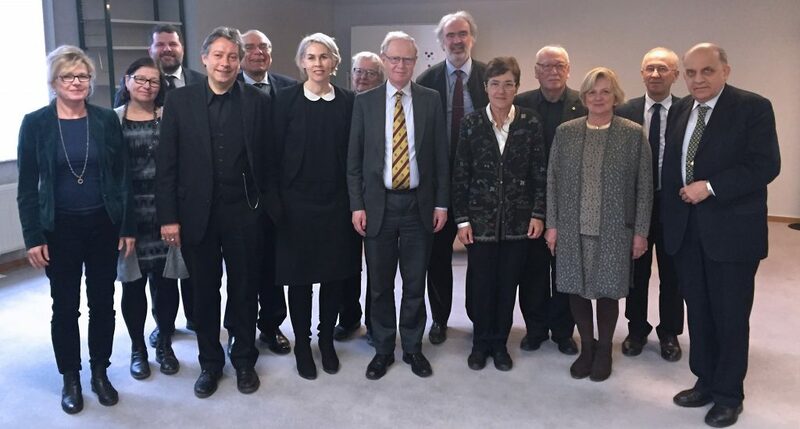 The newly formed ALLEA Framework Programme 9 Working Group held its kick-off meeting on 9 February in Brussels at the Royal Flemish Academy of Belgium for Science and the Arts to plan and discuss the roadmap for their future actions. The Group aims at developing an ALLEA perspective for the future of EU research and innovation following the conclusion of the Horizon 2020 programme. ALLEA President, Prof. Günter Stock, welcomed the members of the group and particularly pointed to the importance of substantially integrating social sciences and humanities in any forthcoming EU funding project for research. The ALLEA President thanked the fellows for their commitment and engagement with ALLEA activities, and expressed satisfaction at the wide and keen interest among Member Academies in taking part in the group. “It is very important that the academies have a say on the future of research funding in Europe and over the last years we have been able to further increase our sway with the decision-makers in charge of EU research policy”, Prof. Stock stated. The Group consists of twenty members representing fifteen countries of the Council of Europe region and has already defined the fundamental lines of its programme. Key aspects are the engagement with relevant European institutions, the development of suggestions based on input from the ALLEA Member Academies, and the production of regular updates for the ALLEA Board and Member Academies. The agenda of the first meeting included key research policy topics such as the guiding principles and core values of a future EU research and innovation programme, as well as technical aspects of the budget, implementation and evaluation of the plan, among others. The overall purpose of the Group is to ensure that any successor research programme to Horizon 2020 is developed taking into account the interests of the scientific and research community in mind. Particularly it seeks to guarantee that the Social Sciences and Humanities are fully represented in the design of any future plan. As a successor to the already completed ALLEA Social Sciences and Humanities Working Group, the fellows will be able to build on existing work and ample experience.